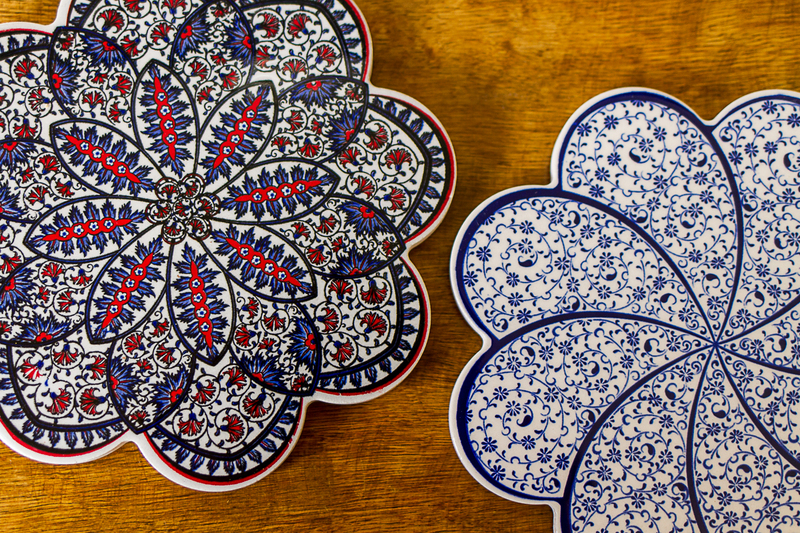 I picked up these gorgeous tile trivets when I was in Sydney last week with Hannah. We went to see Ed Sheeran concert last week (we gave her the tickets for her birthday in December) and took the opportunity to spend a few hours wandering the city and exploring all the things we can’t look at when the whole family tags along. We wandered through the Queen Victoria Building and up to Pitt Street, stopping to look in the occasional shop. We ended up in the Strand Arcade and had a look in Gewurzhaus Herb and Spice Merchants. Oh my! I could have gone crazy, but I held off and bought myself just a few spice mixes and these trivets. The colours! The patterns! It’s love! The feeling of a full larder. We’ve been cooking and freezing corn kernels, drying figs, pickling garlic, as well as passata, pickled cucumbers, dried plums and apples. I need to get some more jars to put all our supplies into. A good problem to have! I’ve been on the hunt for several prints to decorate our walls. Lately, I have been perusing Etsy and have found several inexpensive prints, which I’m loving. Over the weekend I hit IKEA up for a couple of picture shelves and some more frames and I’m finally going to get some art onto these walls! I’m not one to rush things, but it’s about time I get something going. I love this print of London buildings and the red bus, and this one which sums up my kid’s life perfectly. 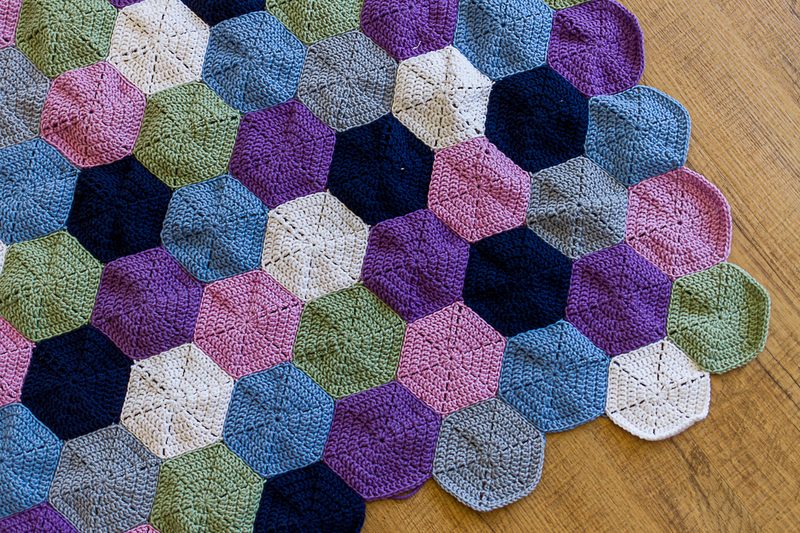 I have all but finished my crochet rug. I still need to weave in the backs (the least exciting part) and also do the edges. In typical fashion, I ran out of grey wool before I could go around the edge. I have ordered some more grey, and also some wool for my next project which is a chevron blanket in greens and blues for Hannah. Homegrown tomatoes. Warm off the vine. Nothing better. Easter plans are underway. We’re having people to stay over the long weekend and we’re looking forward to fun and games. I’m thinking about meal plans when everyone is here. I like to have food covered so that I can relax. C is hoping to redo the front fence with some assistance from friends as well. On the agenda will be the Easter service at dawn in the village, followed by an Easter Egg hunt of some sort in the garden. No doubt we will jump on the motorbikes at some stage and go for a ride around the farm. I was reminded of this post I wrote years ago (ignore the photography!) about some of the tips and tricks we use when we have house guests. We still use these same tips all these years later! We had lots of guests here for Christmas and the house stood up to the guests really well, so I’m looking forward to having lots of people around again! I picked up this cane chair for $20 on Facebook. 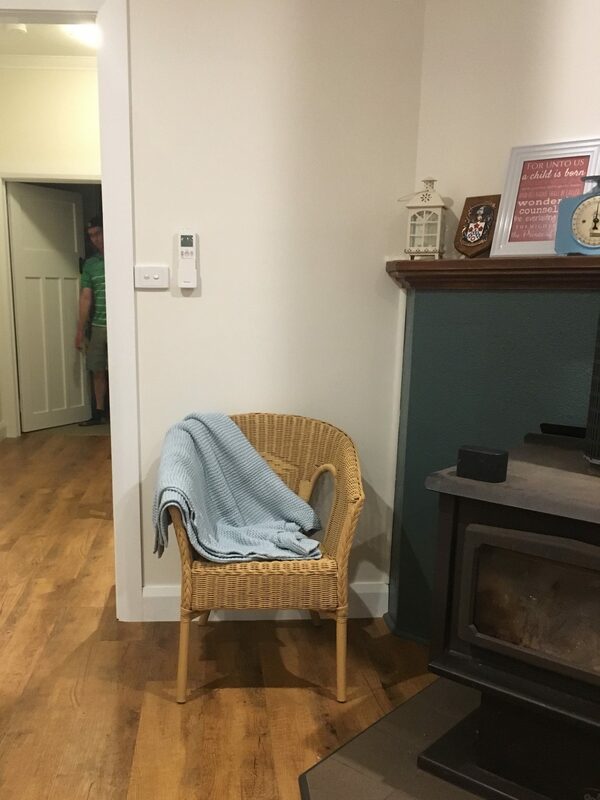 I’ve had my eye out for a chair to put near the fire for a few months, and when I saw this one, I pounced. It’s super comfy, and I can imagine that I will be sitting in it a lot, particularly once we light the fire! Photobomb by CB! What good things are happening around your place? Those trivets are beautiful. I just managed to nab some extra jars for my preserving purposes from my sister in law – I was down to just one jar but now I can continue to happily preserve until the autumn bounty ends. I’ve been drying apples and pears but I’m very jealous of those figs. Hi Jo, my wife and I just put up a 20mtr ×40mtr yard for our newly aquire 6 Dorper ewes. Like you we are city folk not farmers but learning fast. My Easter plans are getting on with the painting of our new house. Love viewing your pics and reading the stories behind them. Have a happy and safe Easter. You’ve been very busy Jo, I love the trivets and your crochet rug turned out beautifully.